A bunch of new images from MidEngineCorvetteForum have surfaced online. Not only is the nose shorter than what we have previously seen, but the middle section of the vehicle is longer, with a lot more space between the drivers seat and the rear wheels. Still a lot of Ferrari, McLaren design cues. I like the new side scoop, especially if it ends up being functional. Still unsure about the rear fascia, in particular the huge venting on the bumper. The taillight design is questionable as well. I agree that there is still some work to be done with the rear end and since the road going test mules have been so heavily cladded these images are obviously heavily influenced by the artists. The proportions are looking a bit better than the previous draw ups that we've seen. I just hope that GM takes advantage of the opportunity that they have here and don't just follow suit with what rivals have been doing. At the same time I don't know how much objection there would be to a Modena look like, that has much cheaper runner costs. If people wanted something that looked like a Ferrari, they would just buy a Ferrari. A unique design approach is something GM needs as a differentiator, in a segment that's this competitive. It needs to look the part as well as deliver solid specs. For all we know the sheer amount of cladding on test mules could be hiding the actual body lines of the C8 quite well. All of the renderings that we have seen up to this point are just based off basic proportions. Or this may be close to the real deal and part of GM's future take on design. Not a fan but higher performing trims could change it for the better. It may not be what we were hoping for, but this may be the most realistic design that they could achieve for the price. I think that they will invest in the platform should they see sufficient numbers for launch. 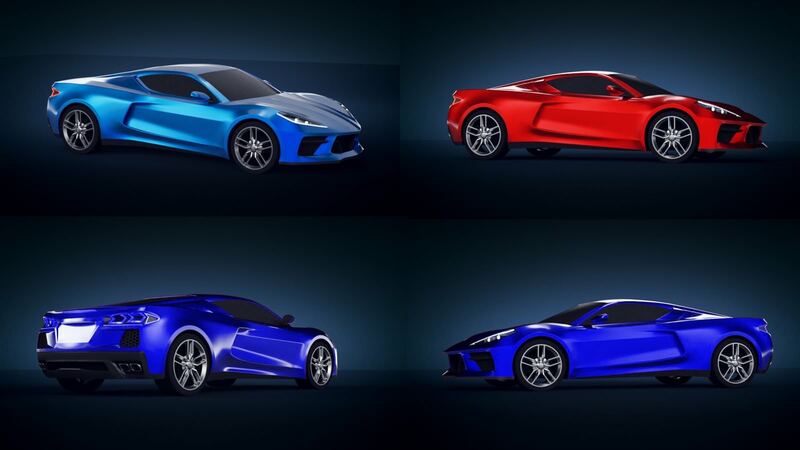 I bet GM came to the tough realization that to attract the supercar buying crowd of today, making a product that looks like the rest, is a winning strategy. Anyone familiar with all of our options these days notices how much it resembles McLarens, the Acura NSX, the Audi R8 and a whole lot more. Doesn't help either that a race version was spied recently, confirming this rendering. A race variant seems a bit premature to me and odds are that it will be priced much more aggressively. Do we know if its going to be a road legal car or is something that's going to be restricted to the track?